'Beyond the Pale' does not normally deal in rumours but we cannot resist sharing a little long-awaited, breaking news. As some readers may know the UK is going through a pretty tough spell politically ... but there is light in the tunnel, thanks to an enterprising idea floated by one musician who must remain nameless for the moment. 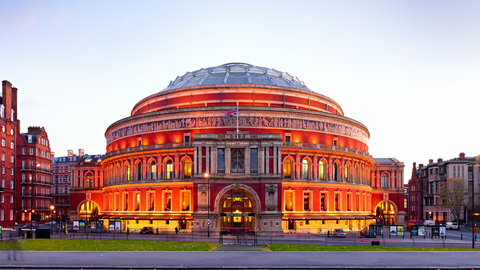 At a date yet to be decided (possibly May, possibly later in the year) the band will be playing a full-length Brexit Benefit Concert at the Royal Albert Hall in London with special guests from all past and previous line-ups. As they are not, and never have been, a political band, the first half of the show (rarities and lost tracks) will be in support of 'Leave', and the second half (concert classics and an extended spoken-word piece) will be in support of 'Remain'. But the politics are incidental ... what matters is the music, and it promises to be a sensational event featuring orchestra, choir, and possibly dancers. As with all fundraisers, at such prestigious London venues, ticket-prices will not be low; but twelve pairs of tickets in prime seats will be made available free to 'Beyond the Pale' readers, and a simple competition will determine who gets what. Watch this space ... more news as soon as we have it. Now click here to enter the equally nonsensical prize competition.